Moreover, multiple machines for pen testing should never be ruled out. Note that both attack methods below assume a relatively weak user generated password. Do i have to use the WiFi Alfa card? This capture file is used to crack the network password using the further process. Note the name of the new monitor interface, mon0. Find Your Target Now the next step starts with the listening to the desired network. Presently i am connected with my own wifi network Virusfound and i want to hack the password of Ultimate that is secured with Wpa2-psk encryption. It can and it will. It may be different for you. Meterpreter is great for manipulating a system once you get a remote connection, so depending on what your goals are; a Meterpreter shell is usually preferred to a straight remote terminal shell. See the deauth attack section below for info on this. If you simply cannot find the password no matter how many wordlists you try, then it appears your penetration test has failed, and the network is at least safe from basic brute-force attacks. Your inputted command should exactly look like this. However, blocking some types of cookies may impact your experience of the site and the services we are able to offer. Thanks also to the awesome authors and maintainers who work on Aircrack-ng and Hashcat. Method 1 — Hack WiFi Using Kali Linux — Please do enter all of these following command one by one. 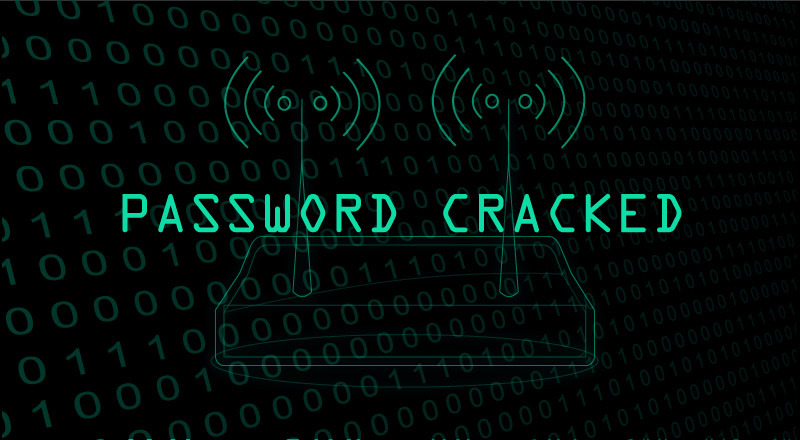 These passwords are weak and easy to crack in any networks. Here you can upload the. For the wireless adapter, choose whichever one you want to monitor on. Jumping steps, or missing out steps will generate errors. Time, dedication, consistency, and patience are required to succeed. Cracking with naive-hashcat Recommended Naïve-hashcat uses a various dictionary, rule, combination, and mask preciously smart brute force attacks and it can take days or even months to run for the high strength passwords. After entering this command, hit enter. Now the final step is to crack the password using the captured handshake. However, on another day, you are able to easily. Download the required Config Http Injector file for the settings you want to use 2. Wait…wait… You also need a word list comprising of all the possible different combination of pass-phrases. It will create some fils i on our home screen. Step 2: Type airmon-ng start followed by the interface name of your wireless card. This command will show the hardware properties of your pc. So lets get to the demo! Run iwconfig You should now see a new monitor mode interface listed likely mon0 or wlan0mon. At no time should any reader attempt to use this information for illegal purposes. Basically now you need to note down or copy the address listed below Interface. Begin the process by listing wireless interfaces that support monitor mode. Wait a little for a client to make an appearance. As soon you get your target wifi name listed on your terminal screen, press ctrl+c together to stop the process. On my dual core 2. This is similar to putting a wired adapter into promiscuous mode. Note the channel of your target network. First you need to be capture the Wpa2, four-way handsake with CommView. Step 6 — As soon as the target wifi name appears on your screen simply press ctrl+C from your keyboard. Enjoy Wifi Hacking with Windows machine. The author is not responsible for its use. While not everyone can possess a super computer, a capable machine is extremely affordable in this day and age. If you are not able to get the handshake after several deauth requests, it is mostly likely because your clients are too far from you. A complete command should look similar this: Now press enter. Now airodump-ng will attempt to capture their encrypted password which is usually 4-way handshake. An optional active deauthentication attack can be used to speed up the reconnaissance process and is described at the end of this document. 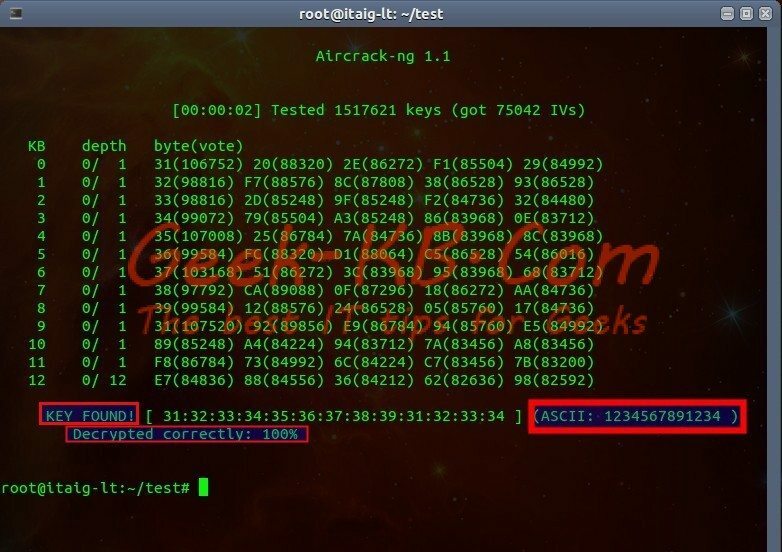 I'll be using the default password list included with aircrack-ng on BackTrack named darkcOde. The inputs we need to specify are the channel, the bssid, and the file name to write. Hence the process duration depends on the strength of the passwords used. We will capture all the packets in the air using airodump. It is important to capture on these handshakes in order to crack the network password. That works out to about 1. Depending upon the length of your password list, you could be waiting a few minutes to a few days. Software Requirement for this lab :- 1. Here ng means New Generation, because aircrack-ng replaces older suite called aircrack that is no longer supported. Hope you like my post. These handshakes occur whenever a device connects to the network, for instance, when your neighbor returns home from work. The cracked password will be saved to hackme. 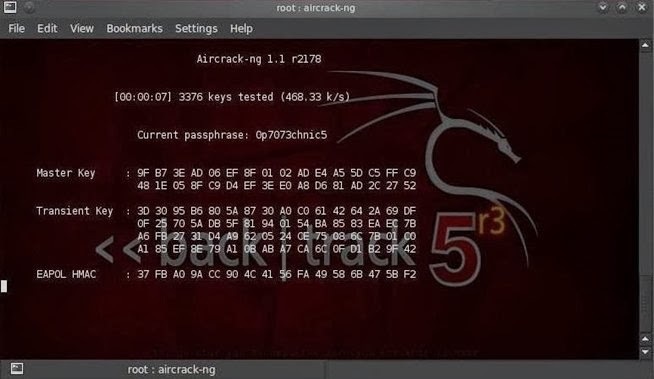 Instead of waiting for a device to connect, hackers can use this tool to force a device to reconnect by sending deauthentication deauth packets to one of the networks devices, making it think that it has to reconnect with the network. 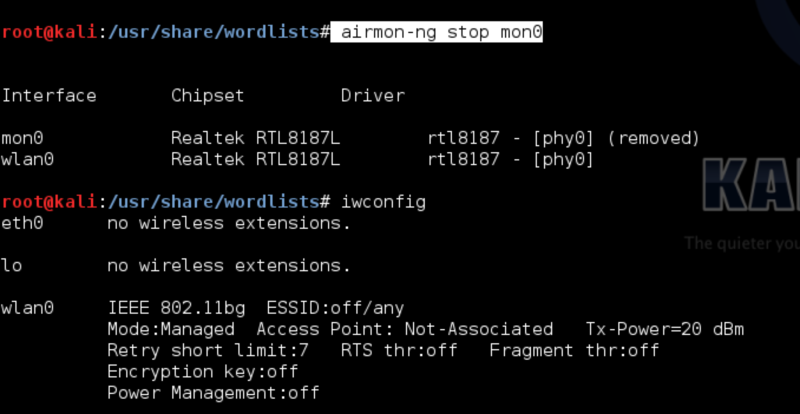 Step 1: Disconnect from all wireless networks, open a Terminal, and type airmon-ng This will list all of the wireless cards that support monitor not injection mode. Be sure to also type the airmon-ng check kill command in the terminal. Before you run the attack you need a word list. Now proceed next with placing the interface into monitor mode but be sure you are using the correct name.